VT ROUTE 2A SAFETY IMPROVEMENTS Archives - Count On It! 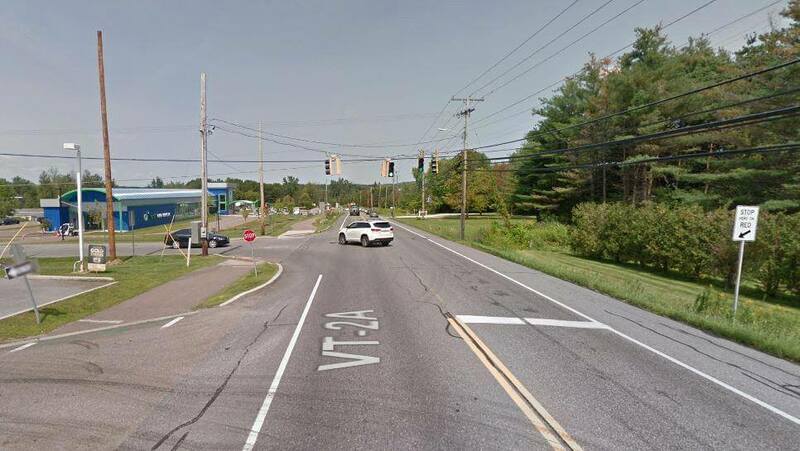 Please be advised beginning September 2018 the Vermont Agency of Transportation in conjunction with Engineers Construction, Inc. will begin the 2018 – 2019 safety improvement project on VT Route 2A from the intersection of Bittersweet Circle to the bridge over the Winooski River. The anticipated completion date is August 16, 2019. This project will consist of widening the existing roadway to accommodate a two-way left turn lane throughout the corridor, including designated left turn lanes at James Brown Drive and River Cove Road. A new signal and crosswalk will be installed at the James Brown Drive intersection. Also included in this project is new curbing, drainage, sidewalk, pedestrian improvements, stormwater mitigation along with repaving the project area with new pavement markings and signage. During the construction period, motorists should expect traffic flow to be maintained with free-flowing two-way traffic during day time construction hours. Construction activities that require one-way alternating traffic will be completed at nighttime between the hours of 7:00pm and 6:00am so as to cause minimal disruption to commuting traffic. Motorists should expect delays due to the high volume of traffic. For anyone interested in learning more about the project, there will be a team at the July 24, 2018 Selectboard Meeting at the Williston Town Hall. This specific item is on the docket for 8:00pm. Anyone with questions or concerns regarding the project may contact Stephanie Barrett, Public Outreach Coordinator at 802-862-6085. If you would like to receive project updates when the construction begins, you mail email sbarrett@coibsinc.com your request to be added to the distribution list. To follow us on Facebook search “Route 2A Safety Improvements”. This project is complete for the 2018 construction season. I will be back in touch in the Spring 2019! May you have a safe holiday season and winter. Anyone with questions or concerns regarding this project may contact Stephanie Barrett, Public Outreach Coordinator at 802-862-6085. General clean-up work throughout the project limits. Motorists should expect little to no delays in traffic. Please use caution while traveling thru the work zone. No work due to the Columbus Day holiday. Installation of the flashing beacons for/at the Bittersweet crosswalk. Clean up work within the Morgan Parkway area from the tree cutting. Motorists should expect minimal delays and use caution while traveling thru the work zone. Final work on the installation of the pedestrian crosswalk at Bittersweet Circle to include pavement markings. Installation of new drainage piping across Eastview Circle. Traffic control will be present allowing for one lane of alternating traffic on Eastview during this work. Continued work on the installation of the pedestrian crosswalk at Bittersweet Circle to include the installation of the flashing beacon signals. Installation of new drainage piping across Eastview Circle. Traffic control will be present allowing for one lane of alternating traffic during this work. Work has begun on the installation of the new pedestrian crosswalk at Bittersweet Circle. Tree/Shrub plantings within the Morgan Parkway area. Complete installation of construction signage. Tree removal on the east side of Route 2A between Morgan Parkway and Eastview Circle. Excavation for the removal of the tree trunks left on Wednesday in anticipation of tree planting the following week. Installation of construction signage throughout the project limits. Motorists should expect minimal delays this week.